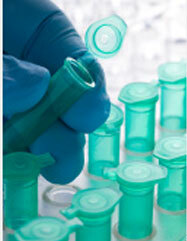 Prime Air & Ocean Cargo understands the challenges facing biotechnology, chemicals and pharmaceuticals customers. It’s a huge responsibility to tailor just the right combination of freight management solutions for such sensitive cargo. We have over a decade of experience handling the most temperature-sensitive cargo, and our disciplined and consistent processes ensure the best possible result for customers from these industries. Cold-chain integrity within regions and across oceans makes the handling of pharmaceuticals, chemical and other biotechnology one of the most challenging areas of logistics customization. Trust your products to Prime Air & Ocean Cargo.